Eddie Garcia at the National Academy of Arts & Sciences. 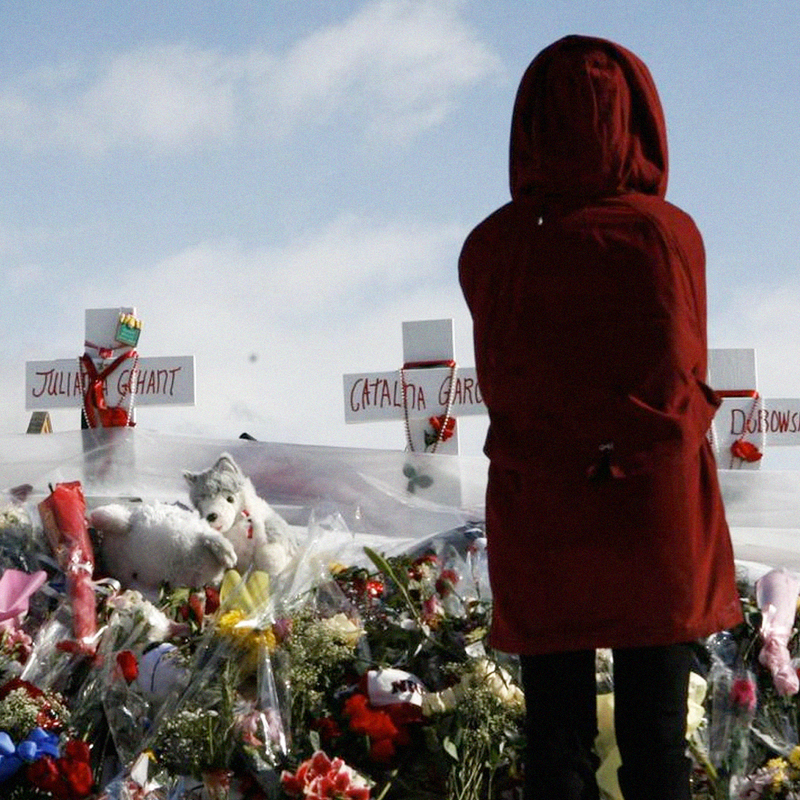 While it is unfortunately true that mass shootings have become pretty regular news events, Eddie Garcia (Northern Illinois University, ‘18) found a compelling way to tell the story of the 10th anniversary of the shooting at Northern Illinois University in DeKalb. “Shooting Anniversary Newscast,” produced by Garcia and Mateo Avila, was nominated by the National Academy of Television Arts and Sciences for a 2018 Emmy in the category of Best Student TV newscast. He and Avila attended the Chicago Chapter event in November of 2018. The shooting occurred on Valentine’s Day, 2008, when a gunman entered a large lecture hall, killing five people and injuring 17. The shooter ended up taking his own life. Garcia and Avila, as producers, created, organized, and wrote the script, airing it as the first show of the semester. They start out the piece – which can be viewed on YouTube – doing personal stories about the five students who lost their lives by interviewing parents, friends and others who knew them. Another segment highlights a “reflection walk” that took place on campus where families and friends could walk and stop in particular rooms to reflect on each person who died. Other parts of the half-hour newscast delve into security on campus, an interview with a first responder, an interview with a survivor and information about the scholarships given in honor of the victims. “Gathering all of the correct information was our main priority,” says Garcia. “Our goal was to honor the victims while revealing details about the tragic event.” He says they wanted to tie it together with the more recent school shootings. A senior majoring in broadcast journalism and media communications, Garcia credits Phi Kappa Theta, which he joined his freshman year, with giving him the tools to build on what he calls the foundation of his career—the importance of communication. He credits his parents with providing his life foundation and says his mother is his biggest cheerleader. “Everything that has happened to me is about communication,” he says. “I really want to help others succeed too and realize that we are all in this together.” He was inspired by the late Paul Allen (Washington State University, ‘75), who he heard deliver his Man of Achievement speech at the Phi Kappa Theta National Conference in Washington DC in 2017. Allen, 65, the co-founder of Microsoft, died October 15, 2018 of Non Hodgkins lymphoma. He became hooked on broadcasting when he went to college and entered the school’s television production area. He immediately knew it was what he wanted to do. But his true passion is sports. While a student, he has produced a weekly sports program, Top Shelf Sports, which is a part of class curriculum, serving not only the university but the nearby local community. Garcia recently visited ESPN and hopes to make Bristol, Connecticut his home following graduation in December. Beni Enas, General Manager of the Northern Television Center, and a former producer at CNN, among other media outlets, says Garcia is mature beyond his years. “He’s what I want to be when I grow up,” Enas says with a laugh. “He is a born leader. In television production, there are a lot of moving parts so everyone is expected to follow your lead. He sets the bar high and everyone wants to rise up to that.” His natural passion for sports is obvious and it inspires others, Enas says.